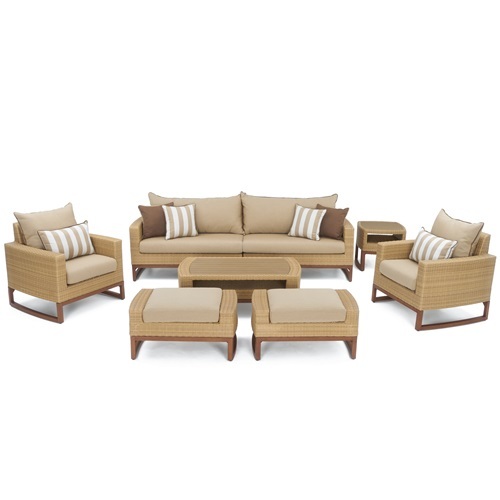 The Mili 6-Piece Deep Sofa Sectional Set is something new in the world of outdoor furniture. 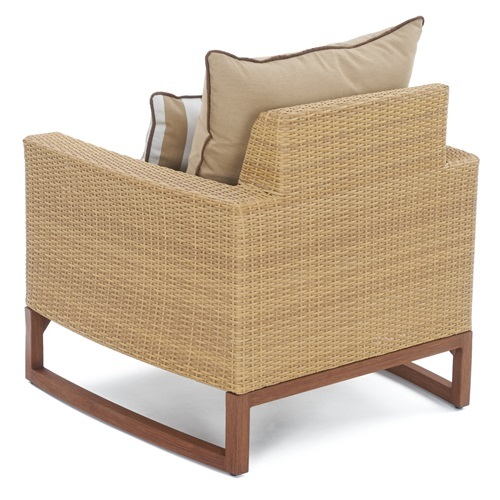 Designed to offer a contemporary style not typically seen in outdoor sectional couches, this set looks as at-home on the beach as it does in the countryside. 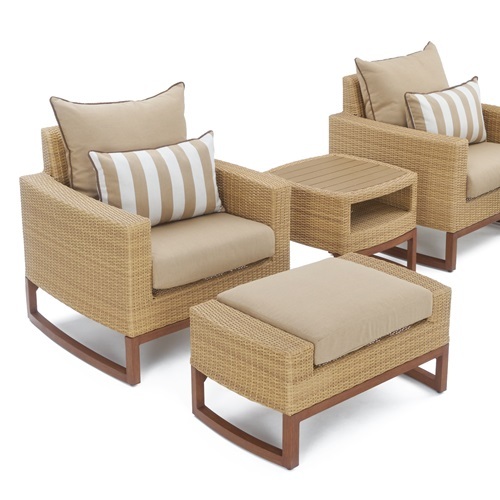 Whether you routinely hold large summer gatherings or you want to start, this set is the perfect outdoor furniture for a great time. 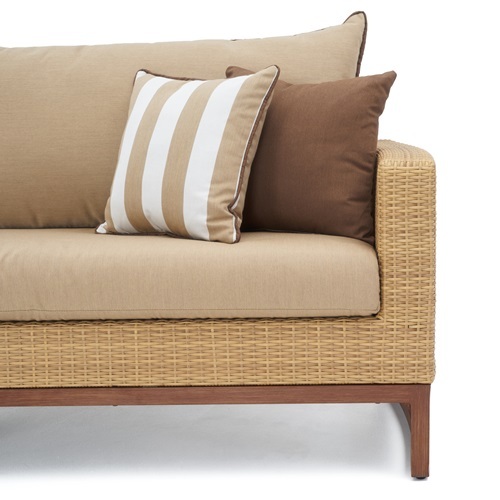 Set includes a two-piece sofa, two armless chairs, a corner chair, coordinated accent pillows, and a conversation table.